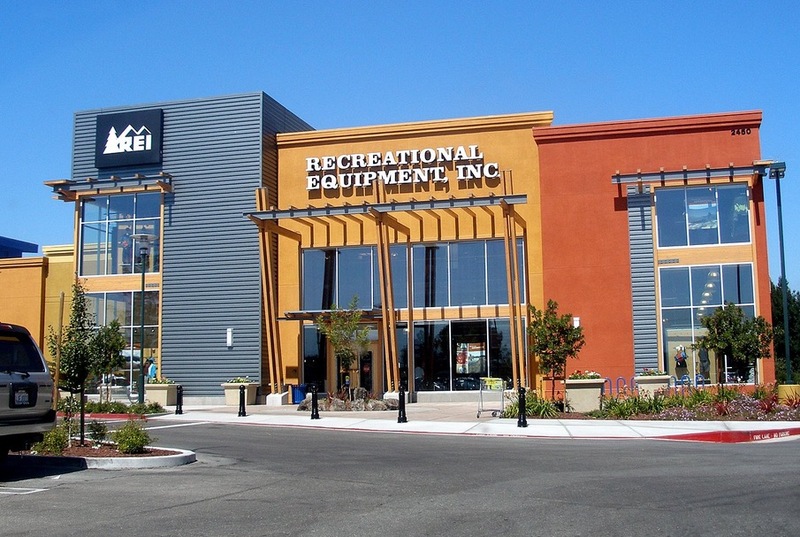 Save BIG During REI’s Anniversary Sale! Each May, REI offers its biggest sale of the year to help its customers gear up for a fun summer spent exploring outdoors. The REI Anniversary Sale for 2015 has commenced, and now, through May 25th, you can save up to a whopping 30% on select outdoor equipment. You can see all of the items included in the sale here! But that’s not all! 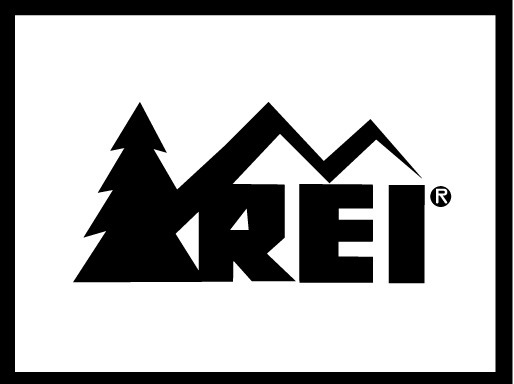 REI members are also eligible to take another 20% off on certain items, and another extra 20% off on one REI Outlet item. If you are not an REI member, this is your reminder to change that, because you can get an REI lifetime membership for just $20 here! Doing so will enable you to huge savings that will justify the $20 cost multiple times over. In any case, whether you are an REI member or not, the time to buy great new outdoor gear for 2015 is NOW. Right. Now. So, with that said, we’ll highlight a few great products that are part of the REI Anniversary Sale. If you want any of these items, make sure to purchase them before May 25th to take advantage of these enormous savings. The Big Agnes Copper Spur UL 2 mtnGLO Tent is currently 25% off during REI’s Anniversary Sale, and at just $336.99, you will save well over $100 on one of the year’s most exciting new products. The Big Agnes Copper Spur UL 2 mtnGLO Tent is an award winning tent that is the first of its kind – the tent utrilizes built-in LED lighting – and has been met with heaps of critical and consumer acclaim. 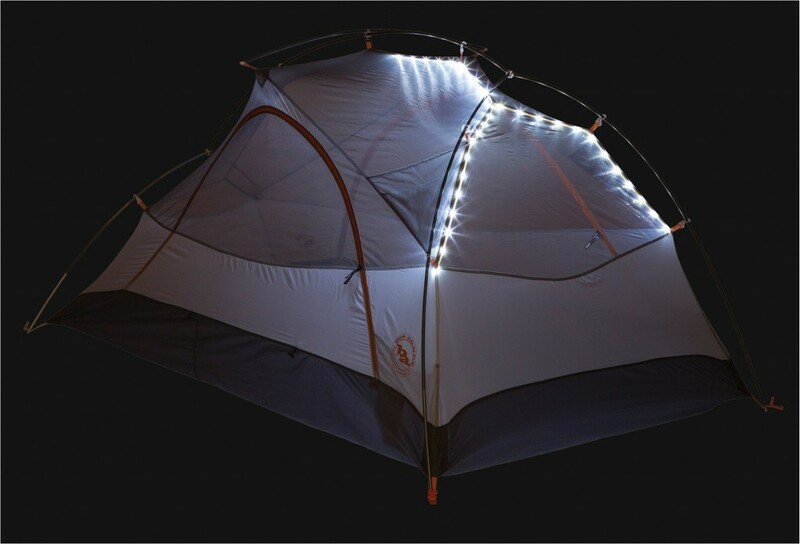 Big Agnes is one of the finest creators of tents in the world, and their integration of LED lighting in the mtnGLO tent models is just their latest in a long line of tent innovations and achievements. The Big Agnes Copper Spur UL 2 mtnGLO Tent gives you all ofd the high performance quality of a Big Agnes tent with a little bit of style in the lights. The Big Agnes Copper Spur UL 2 mtnGLO Tent is made to accommodate 2 people, and it eliminates the need to bring along a lantern to light up your tent, as you will have a built in lighting system, even when there is no electricity for miles around you. In addition to the bells and whistles, the mtnGLO tent is durable and great for 3-season use, lightweight, and waterproof. It is recommended for three season use, and will be a great tent for you to camp in this summer. Take advantage of the enormous price discount on the Big Agnes Copper Spur UL 2 mtnGLO, and check out this awesome new tent here! Perfect for all of your summer backpacking needs, the Osprey Aether 70 Pack is currently reduced from $289.95 to $217.39 at REI, saving you 25% on one of the best lightweight backpacks you can find on the market right now. In fact, you can currently save up to 25% on ALL Osprey products during the REI Anniversary Sale. The Osprey Aether 70 Pack is a massive, 70-liter backpack that weighs in at an impressive weight of just over four pounds. The combination of the light weight and the huge volume makes the Osprey Aether 70 one of the best lightweight backpacks that you will find today. The pack also uses custom-molded foam and adjustable straps in a way that makes this backpack one of the best-fitting and most comfortable models around. The Osprey Aether 70 Pack has many other features that set it apart from its competitors, such as J-zipper panel access on the front of the pack body (which allows you to access items deep in the pack with ease), a HDPE framesheet and a center aluminum stay which protect your back from bulky or pointy items and support heavy loads, and a dual-density foam harness that wicks moisture and keeps your back cool during the hottest summer days. Save big and get yourself a great new pack for your summer backpacking adventures while the REI Anniversary Sale lasts! 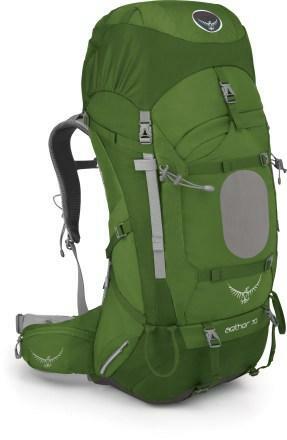 Check out the Osprey Aether 70 Pack here! During the REI Anniversary Sale this year, you can also save a whopping 30% on all Eagles Nest Outfitters (ENO) hammocks, such as the ENO DoubleNest Hammock! There is no better way to chill out around the campground this summer than kicking back in a comfortable hammock and appreciating the natural beauty of your surroundings. ENO is known as the industry standard for camping hammocks, and saving money on their excellent products is something which you should definitely take advantage of. The ENO DoubleNest Hammock can comfortably accommodate two people, so you and your significant other can catch some Z’s or just relax in this luxurious hammock at the end of a long day of hiking. The hammock is made out of high-strength, breathable woven nylon, and it uses triple interlocking stitching, which allows the hammock to take a lot of abuse without being any worse for wear. The ENO DoubleNest Hammock can support over 400 pounds of weight, and uses a marine-grade metal line that will easily and securely attach to trees or whatever else you wish to use for support. This hammock is truly one of the best you can buy, and it is a steal at the 30% off price of just $48.89. 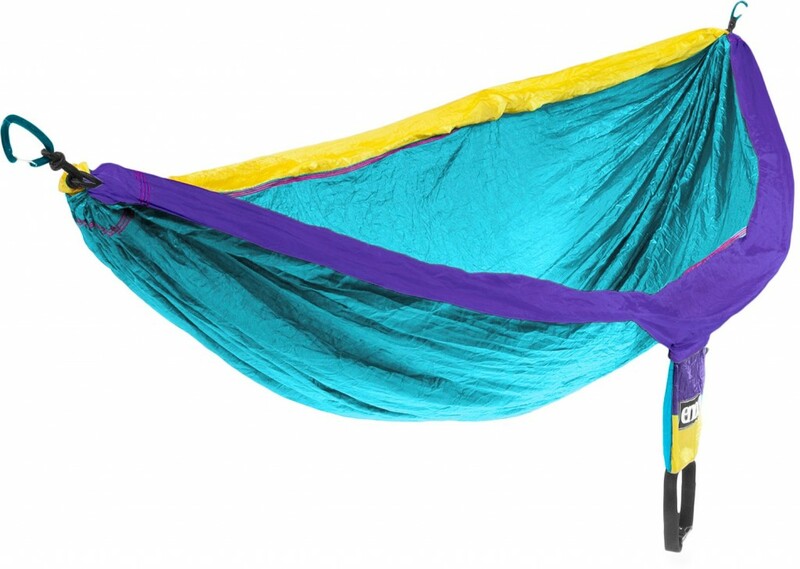 So head over to REI’s website and get the ENO DoubleNest Hammock here! Remember, the REI Anniversary Sale ends on May 25th, so you have to get shopping now to take advantage of these huge discounts while they last. Don’t miss out on REI’s biggest sale of the year! You can check out all of the products included in the 2015 REI Anniversary Sale here. Happy shopping and here’s to a long, awesome summer full of adventure!